I’VE been thoroughly entertained lately by the nega-tweets and comments/status updates on Facebook regarding a newly launched ice cream bar that its advertising promises to make the one eating it feel like royalty. Why so much hate, peeps? Or is this your way of expressing disgust at yourself for falling for the brand’s slick TV ad? Hahahay naku! 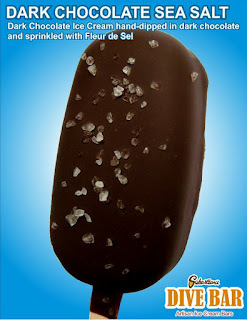 I won’t bore you with the details of the comments, but suffice to say that most who don’t like the supposedly sushal ice cream brand feel shortchanged. Poor kiddies, didn’t feel the royal spark at all. Seriously though, when you buy a P50 product, you don’t expect P150 quality, yes? Or do you? Sus. Created by Edelyn Gamboa, and inspired by the artisanal ice creams in San Francisco where she used to live (thus, the brand “Fog City”), every spoonful is just luscious and exciting. The sugar-free varieties are made with coconut sugar, said to have a low glycemic index and thus apropos for diabetics and those just trying to keep one’s blood sugar at safe levels. However, it leaves a slick of what appears to be coconut oil grease (sebo) on the backside of the spoon. Though unappealing in appearance, it isn’t exactly bothersome to those who love to lap up this ice cream which tastes oh-so-decadent, except that it’s actually healthy! Of course, Fog City Creamery does have regular flavors which use sugar. The Salted Caramel is said to be its most popular, though I find it too sweet. Lucky you if you don’t have to worry about your sugar levels...you are in for an even greater treat. 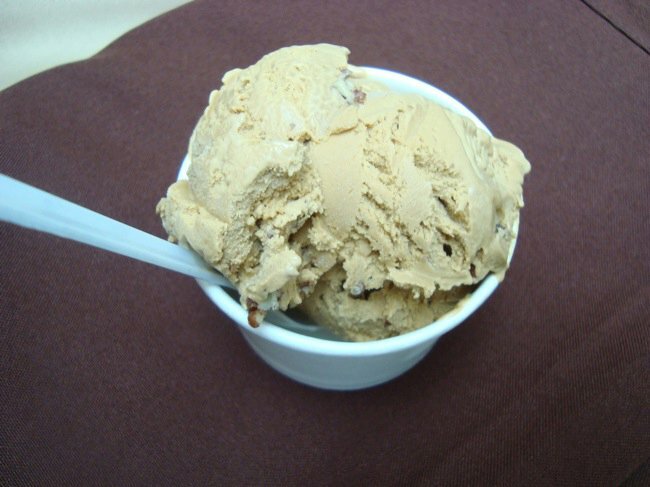 My all-time-favorite sugar-free variety is the Butterscotch Pecan. What’s cool is Fog City also makes seasonal flavors. Like last Halloween, it had a winsome Pumpkin Pie variant which was scary because I lapped up a pint in just a day. Boo! The downside is, it’s difficult to buy unless you live in certain upscale cities where a delivery service is available. So I usually just wait for JJ Yulo’s foodfests at The Podium, which Edelyn usually participates in. 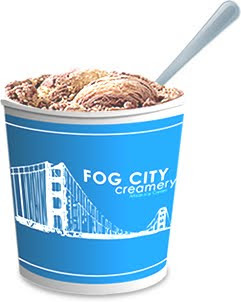 But do check out Fog City’s Facebook page or www.fogcitycreamery.com on how to order. This brand has been around since 2006 and is probably the original artisanal ice cream in Metro Manila. The first time I had a taste of the Chunky Mocha Almond Fudge, I almost dropped dead from sheer ecstasy. And by the way, that was a sugar-free variant! How can sugar-free ice cream taste this sinful, I wondered. Though a bit on the sweet side, Sebastian’s spells rich and creamy, and uses huge globs of the finest ingredients. Like if you get the strawberry flavors (I forget now its actual title), you actually get huge chunks of the fruit. If you like Ben & Jerry’s, Sebastian’s is every bit as imaginative—I mean who can think of making our Filipino comfort food and delicacies like champorado and sapin-sapin into ice cream? Magaling! Sebastian’s is readily available in malls like SM Mall of Asia, SM City The Block and TriNoma. Unfortunately for me though, my favorite sugar-free variety isn’t offered in all of its scooping stations. Waaah. By the way, it also has dive bars and ice cream burgers. I’d recommend Sebastian’s hands-down for that impetuous snack break from shopping when at the mall. Or just bring home a half-gallon for the entire family to enjoy. The flavors are always amazing and unique. Korean in origin, I like Binggrae’s unpretentious but witty take on ice cream. Like the Samanco is just your basic vanilla ice cream in a waffle shaped like, well, a fish! And the surprise is, sandwiched between those layers of vanilla ice cream is red bean paste, so the contrast in textures is just a welcome delight. 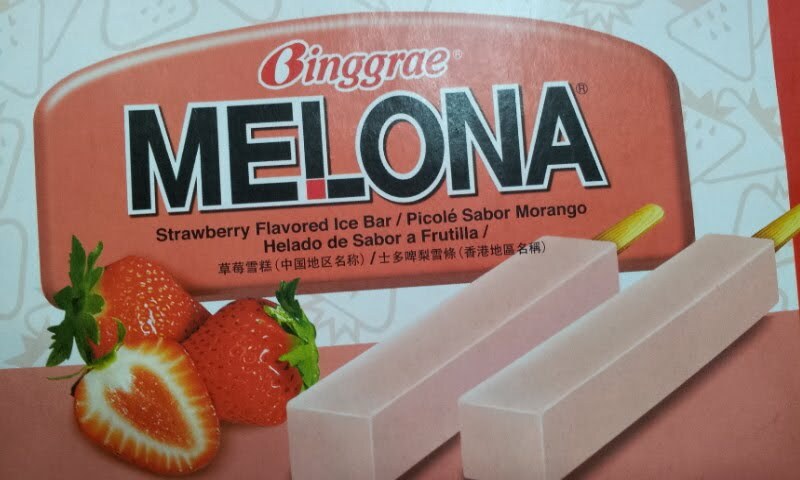 Then a friend recently gave me a box of Binggrae iced popsicles which made me reminisce a bit for a local brand’s Twin Popsies of old, except these ones were creamier and full-flavored. Oh by the way, these are called Melonas but are actually strawberry-flavored, hahaha. 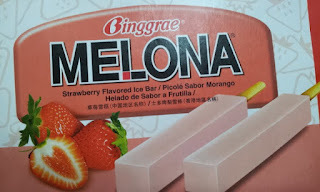 Curious, I Googled it and discovered that Binggrae is actually a 38-year-old company and is probably Korea’s most successful ice cream brand. It also makes yogurt products, fruit-flavored milk, and bottled coffee drinks. Oh and it also sells chichirias but I haven’t seen them in any of the local supermarkets yet. Anyhoo, if there’s anything welcoming about the Korean invasion, it’s their ice cream products (and fine restaurants). Binggrae is available at SM, S&R and, I would assume, most local Korean supermarkets. Call Grace Lee to be sure.